This is the most planted grape variety in Bordeaux. It is characteristically supple and round, adding plenty of color and the aroma of fleshy red fruits like plum, fig, and often roasted notes after a few years of aging. Its secret: cool, moist soil is where it is best able to express its full potential. The name Merlot comes from its resemblance to the blue-black plumage of the blackbird (merle). 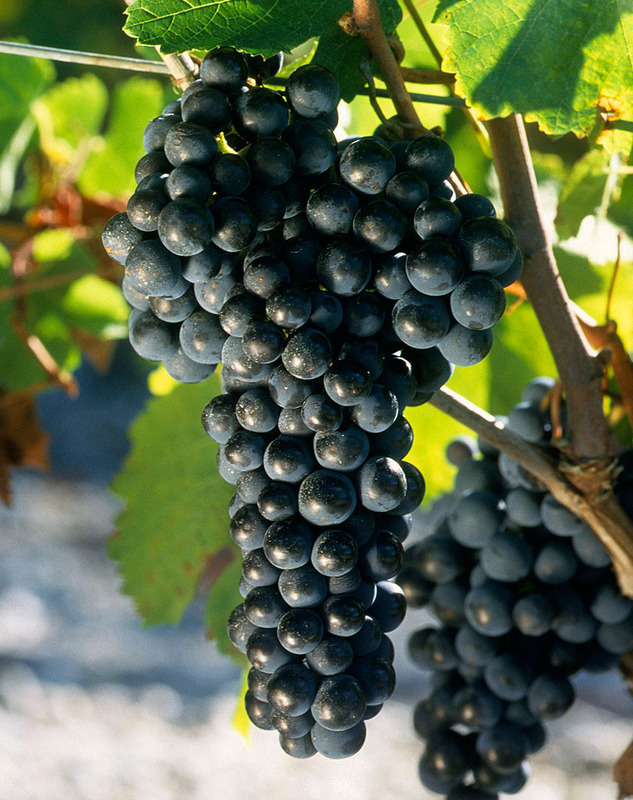 Born of a cross between Cabernet Franc and Magdeleine Noire des Charentes, Merlot was once called Merlau, Plant Médoc, Sémillon Rouge, Béguey, Picard, Alicante, and Crabutet Noir.